But not necessarily quilting. My stash report is unchanged from last week. None in, none out. I have almost finished cutting the squares from the plaid shirts for the first of the two memory quilts I’m making. I also finished a long overdue binding. YEA!! I made this quilt two years ago, and played all over it with fantasy freehand quilting, inspired by Nichole Webb & Jamie Wallen. Many of you have seen this one before, so I will spare you the pics. If you’ve not seen it, and would like to see some closeups of the quilting, there are a ton of pics in this webshots album, http://home-and-garden.webshots.com/album/550151887DlpMBr. I even got a label made and attached. It is FINISHED! It was a really busy week at my day job, so by the time I got home most days, I was pretty tired. But otherwise, I’m feeling much better than I had been the three weeks prior. I had my MRI yesterday morning, on my head & cervical spine. I’ve not heard anymore from my doctor yet, which leads me to think that nothing else has shown up in the other lab work, and he has nothing new to tell me and is waiting for all the results to come in. While I have been feeling better, I decided it was time to work on some long neglected tasks around here. Remember I textured & painted my entryway last year? It was right before I ended up in bed for five days with severe muscle spasms in my back…well, I’ve had the paint for the rest of the living room, but have been afraid of triggering another spasm attack. I started on it last weekend. I am doing only one wall at a time. 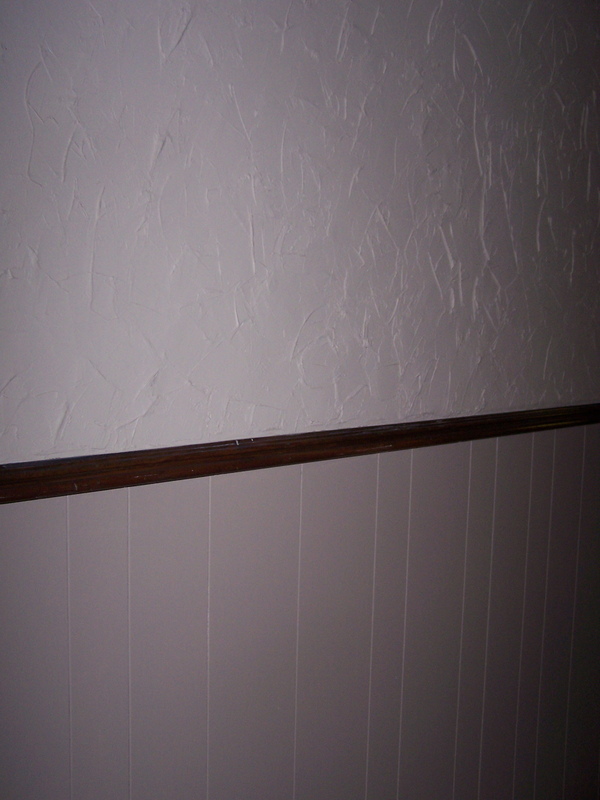 This is a bit of the entryway…The color isn’t exactly true. 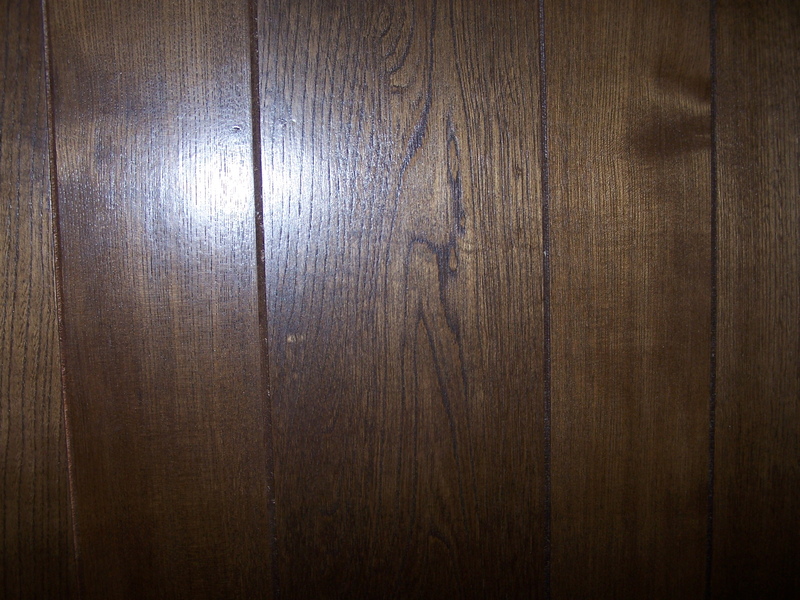 This is the paneling in our living room…yuk. A bit of wall I haven’t painted yet, by the fireplace. 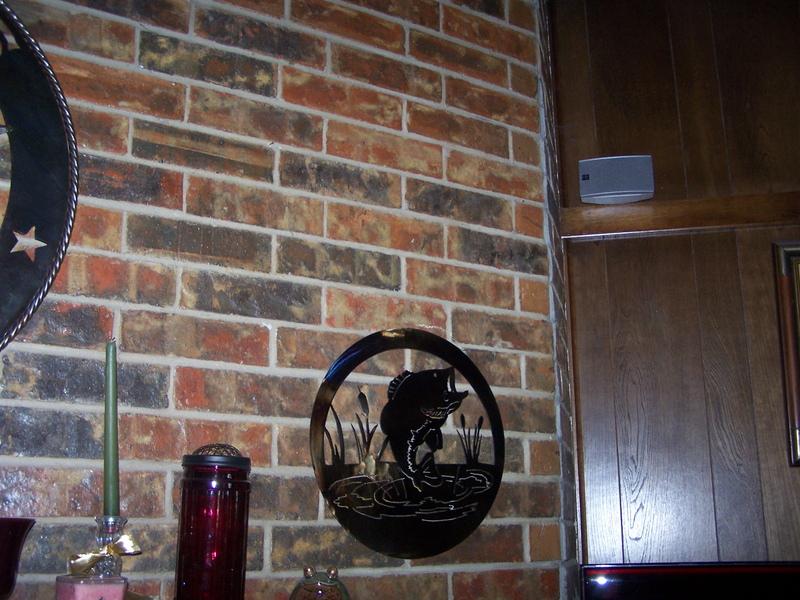 The wall I painted this weekend, next to the other side of the fireplace. Isn’t this going to look much better? I’m going to have to get some new switch & outlet covers. It sure brings the fireplace out and makes it more of a focal point in the room. Wonder how long it will take me to get the remaining walls done…I also spent some time on some much needed cleaning and reorganizing. I even pulled a few of my quilting books and will take them to one of my friends at work tomorrow, to see if she would like to have them. I’m looking for a good steam press…any advice on a good brand would be appreciated! Have a great week! I don’t know anything about steam presses but you take care of yourself and don’t overdo it! Great job on the binding! Yay!!! Yes, I agree with Vicki…you take care of yourself, OK? But, your painting looks great. Just don’t hurt yourself doing it, it’s not worth it. Looks like you have had a productive weekend. Please keep us updated on your medical situation so that we can pray for you. Don’t know about the steam presses, but your label is pretty! 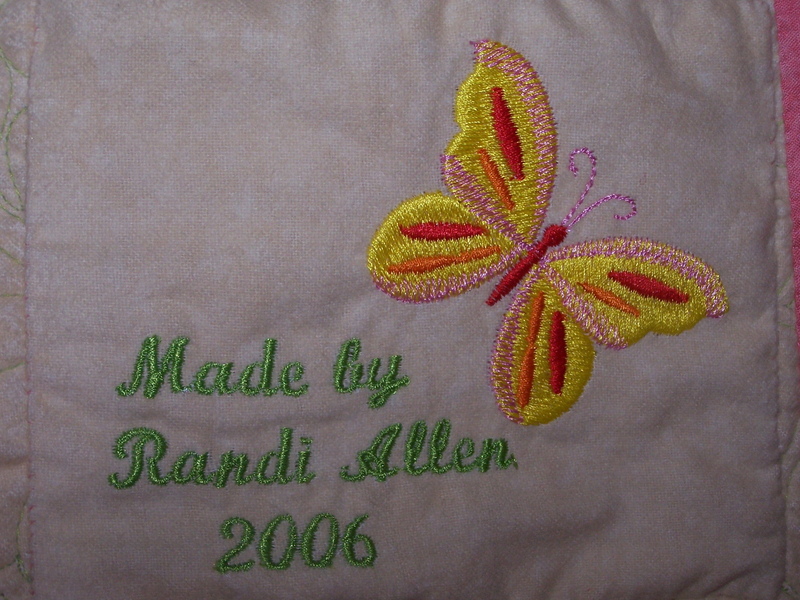 Putting that embroidery machine to good use I see. That is what I use mine for too…labels, and stuff for the granddaughters and DH’s racing crew shirts. I love my Simplicity Digital Quick Press. It is steam, tho’ I usually just use my spray bottle when doing Hubs’ shirts and yardage for backing. I use sizing for fabric for cutting. i guess no news is good news right now. hope it all comes out ok! i went to look at the close ups of this quilt. oh my goodness..you are good. 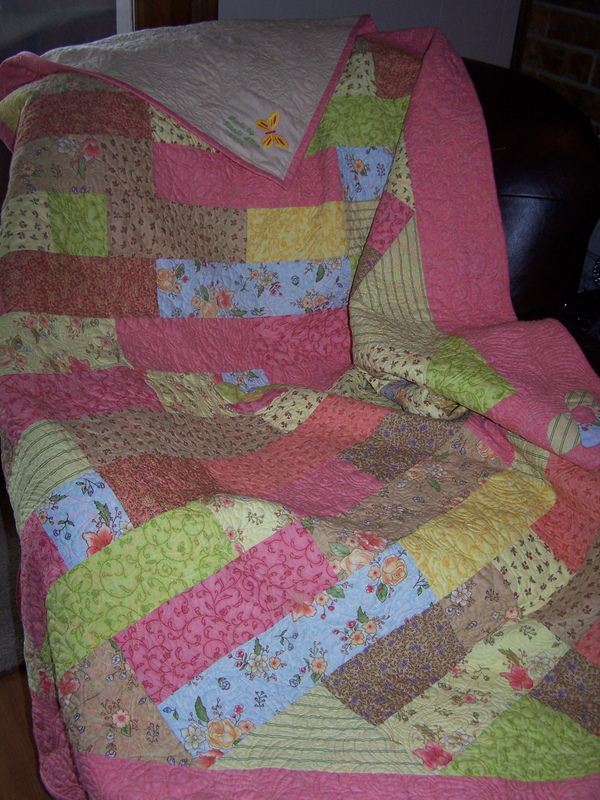 makes my quilting look quite anemic! Way to go with the cute cute label. 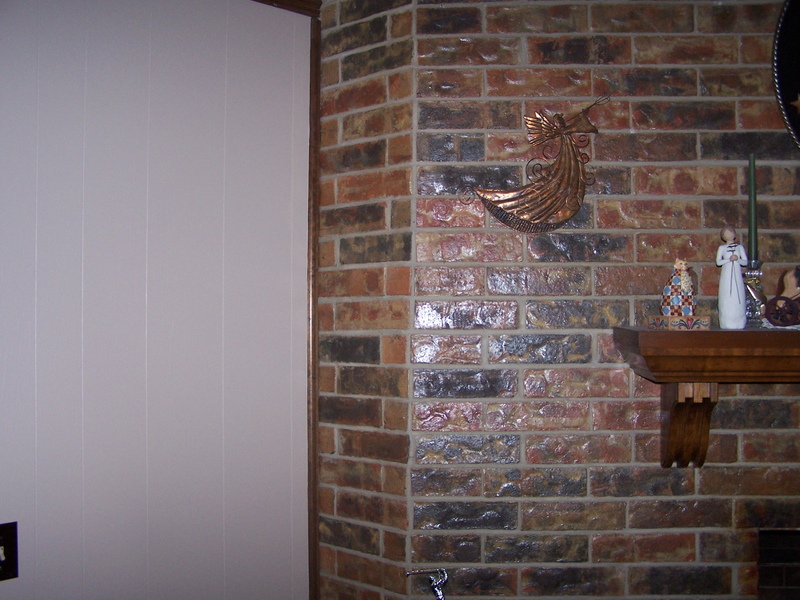 Painting paneling – a big chore but definitely worth it. About 11 years ago I did mine – at that time the kitchen and breakfast area were paneled. A painter gave me a quote and I said phooey on that. It took me MONTHS – had to wash it all down, prime twice, then two coats of paint. But it sure lightened up the place and made me able to stand the kitchen 10 more years!! I love the quilt Randi and the new paint really looks great.